First Oriental Market on 6th and Washington is, in many ways, a sensory overload, a liaison of bright colors, sharp smells, and squeaky carts bearing down on you as you stand there, trying to figure out what the heck people do with whole, reeking, two-foot-long dried squid. I always try to plan enough time in the Market just to wander, and it usually pays off. Looking for a particular thing is never as exciting as happening upon something interesting, something new that challenges the mind, that awakens it. That was the case with some frozen, wild caught, baby octopus from Thailand. Encased in a shrink-wrapped package, they seemed like something I could have fun cooking (unlike the behemoth, normal-sized octopus residing next to them in the freezer). They were cheap, too, so if whatever I decided to do with them turned out to be inedible, it wouldn’t be much of a loss. Now I am going to presume that not everyone impulse-buys baby octopus. That said, before we delve into the multitude of cooking techniques, you may consider the question where should I get my octopus from? On menus around town you’ll usually find product from Spain, but China, Japan, and Mexico are the world’s biggest suppliers. No matter the variety, chances are it arrives frozen. As Chef Karen Nicolas, of the Tria family of restaurants explains, though, there are differences, and frozen isn’t necessarily a bad thing [full disclosure: I work at one of the Tria cafes]. “Spanish or Portuguese are a smaller variety than the octopus from Asian waters. And they are slightly sweeter in flavor,” Nicolas says. Baby octopus. by Jacki Philleo. Anthony M. D’Angelo, fishmonger at Samuels & Son Seafood Co, finds interesting products from around the world for chefs in the seven states that the company provides for. D’Angelo remembers when octopus was found almost exclusively in Japanese or Greek restaurants, and was prepared simply—usually grilled or served cold in salads. He credits the growth in its popularity to the rise of Spanish cuisine in America, as championed by chefs like Jose Andres and Jose Garces. Whatever the cause may be, it’s a fact that we, as a country, are importing more and more of the stuff. GLOBEFISH, a division of the Food and Agriculture Organization of the United Nations, gathers information on the international seafood trade. According to their data, “In 2000, the USA imported about 13,000 tons, but this has since steadily increased, and in 2014 the country imported almost 20,000 tons of octopus.” It’s a small number, for example, compared with the 568,000 tons of shrimp our country imports, but surprisingly we’re presently consuming nearly 20% of the world’s exported octopus. Samuels & Son can provide fresh octopus to restaurants (us home cooks have slimmer chances of acquiring it). D’Angelo says that octopus can actually be shipped live, overnight, in order to arrive as fresh as possible. But this is usually too costly to be practical for most restaurants. 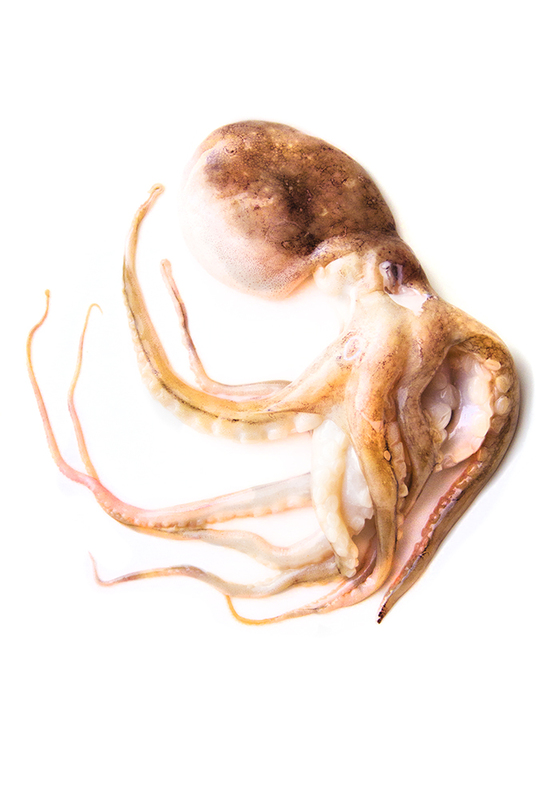 Domestic, fresh octopus is available from Maine down to the Carolinas, but in general these are expensive to acquire and supply may be inconsistent. There’s a newer technique developed by Spanish exporters that tenderizes fresh octopus in a large, cement mixer-like machine before freezing and shipping. D’Angelo says this is what chefs tend to prefer.